An eight-hour work day, especially when one works mostly in a sitting position, can cause muscle stiffness. The simple solution is to stretch the body in regular interim whether you’re at home, in the office, or just outdoors. Don’t rush. Start pulling slowly. Do not overstretch. Breathe normally. Never hold your breath. When stretching, hold it for a few seconds until you feel tightness in the muscles decrease as they expand. Do this routine for about 2 – 3 times. This technique will help improve muscle flexibility. Avoid abrupt actions while doing stretching routines. Enjoy the stretching exercise. Use this time to relax. Keep a proper position while doing stretching exercises. When you are feeling pain, numbness, tingling, discomfort, or loss of strength, stop and immediately contact a physician or our physical therapist at Monmouth Rehab Professionals in South Amboy, NJ. Stretching exercises will help release tension, blood flow circulation, and boost more energy. Remember to take a few minutes of stretching daily. Improved blood circulation. Stretching helps increase blood flow that brings about nourishment to the muscles and gets rid of waste products. This also helps lessen the time for recovery for injured muscles. Decreases anxiety, stress, muscle tension, and fatigue. Increased flexibility and joint range of motion. You feel refreshed and relaxed after you stretch. Improved training performance. Doing some stretching before training is an excellent way to increase the efficiency of the exercise. If you are working in the office, this means you may be sitting in one area for several hours. This may lead to low back pain due to shortened hamstrings, tight hip flexors, and bad posture. Finger and Hand Stretches. Put both hands on the desk. Extend both hands while spreading your fingers until you feel a stretch. Hold it for 10 seconds. Do this exercise for about 5 – 10 times. Wrist Stretches. Sit on your office chair in an upright position. Raise an arm and stretch it out in front of you with your palm facing upward. Gently grip the fingers using the other hand. Gradually pull the hand of your arm down. Hold it for 10 seconds. Do this exercise for about 5 – 10 times. Shoulder Stretches. Extend the right arm and stretch behind your head. Place one of your hands on the upper back making sure that the arm is near your ear. Use the left hand to gently hold the right elbow, pulling it near the back of the head. Hold it for about 15 seconds. Spine Twist. While you are in an upright position, put your left arm at the back your left hip. Hold onto the chair while rotating your upper body to the left. Do this routine on the other side to increase the stretch. Keep it for 10 seconds. Do this routine for about five times. We’ll help you restore muscle flexibility at Monmouth Rehab Professionals in South Amboy, NJ, by teaching you the right (and wrong) ways to stretch. Contact a physical therapist in at Monmouth Rehab Professionals South Amboy, NJ, for additional information on the correct stretching techniques for you. 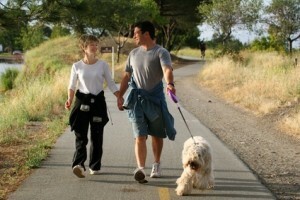 Jogging, walking, and running are best activities to improve health and wellness. Are you an enthusiastic runner or jogger? If so, it is possible that the way you ‘run’ could be hurting you. 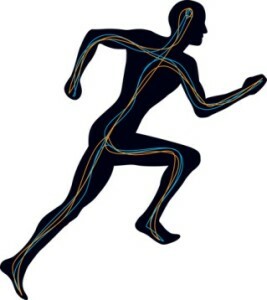 When you jog, run, or walk, each step sends shock waves up the feet, knees, hips and lowers back. Overuse injuries are common, especially with running. The good news is at Monmouth Rehab Professionals in Englishtown, NJ, we can help you avoid overuse injuries. If an injury does occur, physical therapy in Englishtown, NJ, can get you back on track (pun intended) in a short time. Plantar Fasciitis: Inflammation of fibrous connective tissue in the sole of the foot, leading to pain in the bottom of the heel. Achilles tendinitis: Heel pain or pain in the Achilles, due to too much running or running uphill. This can lead to pain and tightness in the calf. Shin splints: Often a result of an imbalance in the calf and shin muscles. Pain is along the front side of the lower leg (the tibia). Stress injury: Repeated pounding of the feet may lead to stress injuries, with pain on the affected bone. Patello-femoral pain or “Runner’s Knee”: Increasing running distance too soon can result in pain behind the patella or kneecap. If you have any of these injuries mentioned above, here are some tips from us to help you treat it. Strengthening exercises to restore the muscle balance. Do you have flat feet? Are your shoes stable enough? All these questions need to be answered. To tell if a shoe can still be used, look at its sole. If it is worn out, it’s time for a new pair! If they twist too quickly, it’s another sign they may be exhausted. Not sure what to look for? Let us, physical therapists in Englishtown, NJ, guide you. Runners are very susceptible to injuries, especially with changes in training, including speed, frequency, distance, and surface. Talk to our physical therapist at Monmouth Rehab Professionals in Englishtown, NJ, about a customized plan to evaluate your foot and minimize or treat injuries. Get the right pair of shoes – we evaluate the muscles of your feet and guide you to get the right shoes. Stretch out correctly – we assess your requirements and make sure you stretch out your muscles properly before exercise. Strategically structure your running – we teach you the right warm, stretch and exercise sequence and coach you through the process of building up your running time gradually. Remember, your running shoes will last about 500 miles before they need to be replaced. If you are a runner or just happen to walk regularly, you need to call us at Monmouth Rehab Professionals in Englishtown, NJ, to evaluate your technique right away. As they say, prevention is better than cure. Our highly experienced staff of physical therapists at Monmouth Rehab Professionals in Englishtown, NJ, will work in close collaboration to design a plan to protect your joints and optimize your efforts. Call us today for an appointment. 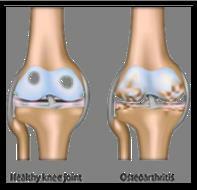 Osteoarthritis is the most common type of arthritis. This degenerative joint disease is a chronic condition characterized by the breakdown of joint cartilage, leading to bones rubbing against each other. Typically, it affects the ‘bigger‘ joints in the body, like the hip, knee, shoulder, even the spine. This leads to progressive stiffness, inflammation, pain and loss of mobility in the joint. Many people think that exercising with a physical therapist at Monmouth Rehab Professionals in South Amboy, NJ is difficult, even impossible, because of the pain. The truth is that an arthritic joint needs to get nutrition, and there is no better way to provide joints their nutrients than movement itself. Exercise treatment plan provided by therapists at Monmouth Rehab Professionals in South Amboy, NJ will help you feel better, reduce pain, and improve your ability to do daily activities if done regularly. A common symptom is pain after activity, which may make you reluctant to exercise. However, you can help relieve pain with heat or ice to stay active. Ice is a great drug-free pain reliever. It helps decrease joint swelling and pain. If your joint hurts, apply ice for 15 minutes. If you don’t have a cold pack, a bag of frozen vegetables (like peas) will do the trick. Exercise should be balanced with rest and joint care. If your joints hurt or you notice redness or swelling, rest your joints, and then try a little exercise. Sharp or unusual pain may be a sign of injury. Talk to your physical therapist or health professional if you have new or more intense pain. Joints and muscles need to be exercised to prevent stiffness and weakness. Also, exercise will make you feel better and help you maintain a healthy weight. Excess body weight places extra force and pressure on arthritic joints, which helps osteoarthritis progress more rapidly. Here’s what happens without exercise. Less movement means more stiffness in your joints, making your osteoarthritis progress faster. Research suggests that if your joint is unusually loose or does not line up normally, some exercises may hurt more than help your joints. Your physical therapist at Monmouth Rehab Professionals in South Amboy, NJ is the right professional to help you determine what exercise is best for you. Stretching and strengthening exercises will help prevent associated stiffness and reduce stress on the joint. For example, strong thigh muscles will minimize some of the stress off the weight-bearing joints of the knee and hips. Improve strength, posture and balance in older adults, reducing the risk of falls. Exercising with a therapist at Monmouth Rehab Professionals in South Amboy, NJ or in a group is a lot easier than exercising alone. People with osteoarthritis who exercise in groups have less pain, less depression, and better joint mobility. Watch your weight. That’s the best thing you can do for your joints. Research shows that with every pound gained, a person puts four times more stress on the knees. Strong muscles cushion your joints. If your muscles are weak, your joints take the beating, especially your knees, which support your entire body weight. Talk to your therapist before starting any exercise on your own. You don’t want to strain the very joint you are trying to strengthen. Low-impact exercises like biking and swimming are great for arthritic hips and knees, but this varies from one person to another. Find out what exercises are safe for your joints. Research shows that those who participate in a home exercise program and also attend an exercise class have better gains in function. So if you don’t know what exercises in physical therapy at Monmouth Rehab Professionals in South Amboy, NJ are right for you, call us today to see what’s best for your joints! We can help you spring into action! What would you say if you found out there were legitimate reasons why your exercise program was failing to give you the results you desired? There are five nervous system related issues that could be hindering your muscle strengthening and injury prevention efforts. The brain communicates with every part of your body via nerves. This includes muscles, joints and various aspects of your skin. These nerves run to/from the brain, go down the spinal cord, and then branch off to each and every part of the body. If anything along this path is disrupted, the nervous system communication with the muscles, joints and skin is compromised. This means your muscles will not contract as efficiently as possible! Reduced sensitivity of joint receptors. This can impair feedback from the “end-point”(muscles) to the brain. Impaired circulation. Nerves have their own circulation too. If this circulation becomes limited, the communication between muscles and nerves is negatively impacted. Nurture the right mindset for exercise. Don’t set yourself up for failure. 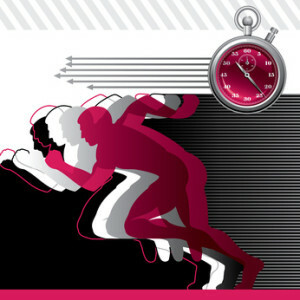 The right amount of concentration helps optimize the results from your exercise routine. Move in functional directions. This means multi-dimensional or 3-D movements. Remember to mix it up! Optimize your rest period between exercises. The right amount of rest between exercises can help optimize muscle recovery. To determine the correct amount of rest in your therapeutic exercise regimen, give Physical Therapy at Monmouth Rehab Professionals in Englishtown, NJ, a call. Interval training is a type of exercise training in which you alternate between various intensities of exercise in a single session; switching back and forth between a high intensity phase and a low intensity phase. An example of this is an exercise session in which an intense phase of exercise like weight training is alternated with a period of walking on the treadmill. The idea is to challenge muscles in an unpredictable manner and keep the body “guessing” about what’s coming next. Mixing up different components of your exercise routine (intensity, duration, frequency and type of muscles recruited) boosts the mind-muscle connection. To find out more about how physical therapy can help you reach your goals, increase strength and reduce pain, get in touch with one of our highly qualified physical therapists at Monmouth Rehab Professionals in Englishtown, NJ. Get the most out of your therapeutic exercise program with our expert physical therapists in Monmouth Rehab Professionals in Englishtown, NJ. We’re here to help you become stronger. Schedule an appointment by calling our therapists at Monmouth Rehab Professionals in Englishtown, NJ. We look forward to helping you enhance the mind-muscle connection. Poor posture is a direct consequence of a modern lifestyle. Poor posture can add years to an individual’s appearance without the slightest hint to the individual. The truth is – overcoming poor posture can be challenging, especially if it’s been a long time in the making. It’s likely that you may have poor posture and not know it, unless a physical therapist at Monmouth Rehab Professionals in Jackson, NJ or an exercise professional points it out. 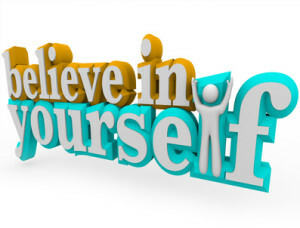 This is exactly where we, at Monmouth Rehab Professionals in Jackson, NJ help you. Our experienced staff of physical therapists at Monmouth Rehab Professionals in Jackson, NJ can alleviate poor posture and help restore muscle balance and proper joint alignment. Habit: The unnatural postures of sitting at work (hunched over a computer), standing with uneven weight distribution, leaning forward with a rounded back tend to add up and cause a permanent, unnatural alignment of the spine. Unless we remind ourselves to “sit up straight”, the “bad” posture becomes “normal“. Injury: If your back, neck, or shoulder muscles have been injured, you may find it challenging to sit up straight. Injury or weakness in certain muscles can force you to slouch due to pain. Stress: Undergoing physical and/or mental stress can be exhausting on your body. Many people, when stressed, switch to shallow breathing which directly affects overall body posture. Physical stress, where we exert ourselves beyond our capacity can trigger incorrect posture. This can happen quite easily while moving furniture and appliances, or by lifting heavy boxes, or even by picking up infants, toddlers, and children improperly. Genetics: Unfortunately, poor posture can be passed from generation to generation. Shoes: Wearing comfortable shoes are essential for most activities. This is not just limited to the gym, running, or sports, but for every situation that requires periods of standing, walking, or moving in general. Inappropriate footwear can lead to generalized back pain, hip / knee pain, and postural problems. Try to stretch prior to physical exertion. When pushing, pulling, or lifting, always take advantage of the strength in your legs, taking special care not to rely on your back for power. To lift a box, bend your knees and pull the box close to your stomach. If the box is on the floor, don’t bend over to pick it up; even light boxes pose a hazard if they are picked up incorrectly. 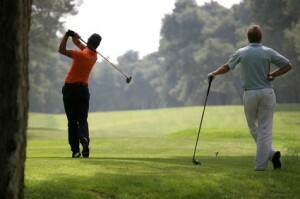 With any activity, it is always a good idea to keep your back straight as often as possible. There are proper techniques for moving and lifting heavy items. Poor posture can also be an indicator of a more serious spinal condition, such as Scoliosis, an abnormal spinal curve. Scoliosis may be present from birth, or it may develop over time, although in most cases, its true cause is not fully understood. Scoliosis can be very painful because it causes misalignment throughout the entire body, but it may be diagnosed as the result of rib, hip and shoulder problems, muscle variations in the back, or nerve dysfunction. If you experience aches and pains as a result of poor posture, a good starting point is to try and correct your posture one day at a time. At work, place a small reminder on your computer, desk, or work space to keep you aware of your position, especially if you will be sitting for extended periods of time. Self-awareness is part of the solution. If your body has found its way into an unnatural “comfort zone“, remind yourself that each day you sit up straight brings you one day closer to relief. We at Monmouth Rehab Professionals in Jackson, NJ will evaluate you to determine exactly what must be done to restore optimum posture and to relieve aches and pain, allowing you to function better and breathe more efficiently (plus, it looks better!). Monmouth Rehab Professionals in Jackson, NJ is a proven solution for poor posture and associated aches and pains. Give us a call today and take advantage of our knowledge and expertise. We will teach you the right methods to look ‘posture perfect’. Our skilled staff of physical therapists at Monmouth Rehab Professionals in Jackson, NJ will provide you with a precise, targeted exercise plan (and tips on exercises to avoid) to restore optimum posture. We will also teach you the correct ways to sit and stand, move and lift items, get in and out of bed and exercise/breathing techniques to minimize strain on your joints. Overall, the best way to prevent unwarranted injury is by using common sense and maintaining good posture. So pick up the phone and give Monmouth Rehab Professionals in Jackson, NJ a call – good posture is what the human body was designed for, and that’s exactly what we can help you achieve! The intensity at which you exercise will determine what you get out of it. Do you want to lose body fat? If so, you need to exercise at a different intensity compared to someone who trains to build muscle/tone up. Unlike bones and joints, muscles have a greater blood supply. Muscles can regenerate and respond quickly to the demands of exercise. The goal of all your exercise-related efforts with our therapists at Monmouth Rehab Professionals in Marlboro, NJ should be to strengthen muscles and avoid overload of the bones and joints (likely to cause pain and injuries). Typically, exercising with weights can cause soreness, which is a dull aching pain in the muscles. This soreness generally subsides in a 2-3 days, during which your muscles get a chance to rest and emerge stronger. On the other hand, aerobic exercises like walking, cycling, and swimming typically do not cause muscle soreness. They serve a different purpose, and are invaluable in conditioning your heart and lungs. Soreness usually occurs the day after exercise due to an overload of exertion on your muscles, and the release of stored chemicals from your muscles. This is the reason why soreness sometimes gets worse a day or two after exercise. This is a phenomenon called “Delayed Onset Muscle Soreness” (DOMS). It is more likely to occur if you try new exercises or exert yourself more than you should. You will feel mild discomfort and not necessarily pain which should subside with rest. It’s important to remember that if you do the same exercise over a period of time, the level of soreness will decrease as your body adapts to it. This is why we change your exercise routine every 3 to 4 weeks to help you gain maximum benefit at all times. On the other hand, pain after exercise tends to be sharp and localized around one area. It also tends to persist and sometimes get worse. You should never exercise ‘through the pain’ since this may cause injuries. If you experience pain during exercise, give our physical therapists at Monmouth Rehab Professionals in Marlboro, NJ a call right away so we can determine the cause of your pain and help you manage it. Improper technique, absence of warm ups/stretching and inadequate footwear is major causes of pain and consequently injury. When you feel pain, use the RICE method. Rest: Avoid anything that may cause an increase in pain. Ice: Use an ice pack to reduce swelling and pain. Do not use the ice pack for more than 10-15 minutes at a time. Compression: A handkerchief or bandage around the injured area helps minimize swelling. It should be firm, but not too tight. Elevation: Keeping the injured body part elevated also helps to minimize swelling. Is sharp and limits movement. Is accompanied by numbness, weakness, or swelling in the joint. Don’t let aches and pains affect your gains. Call our expert therapist at Monmouth Rehab Professionals in Marlboro, NJ to see how we can help you with a speedy recovery. Pain indicates distress to the body – listen to it and take action. A timely trip to your doctor and/or physical therapist at Monmouth Rehab Professionals in Marlboro, NJ will facilitate recovery. Ever since the #1 New York Times bestseller entitled “Men Are from Mars, Women Are from Venus” by John Gray was published, more and more people have asked the question “What makes men and women so different?”. Gray’s use of analogies and metaphors to highlight key differences between genders has made the book a modern classic. These functions are intricately tied to complex hormonal patterns in women, which also influence behavior. Specific actions need to be taken to ensure healthy aging for older women. Physical therapy can help identify (and eliminate) risk factors for falls and fractures. Regular strengthening and weight bearing exercise can slow down the reduction in bone density as women age. You may be asked to visit your physician to learn about the risks and benefits of hormone replacement therapy. Screening for calcium, vitamin D and vitamin B12 deficiency is also recommended. Pelvic floor dysfunction and incontinence can also be treated with physical therapy. Every physical therapy program is different, depending upon the issue at hand. Your physical therapist can work with you regularly and design a program specific to your needs no matter who you are. Please call us today and we can help make your life less stressful and less painful. Most people have heard about multiple sclerosis (MS), but don’t know much about this autoimmune disease. It’s a debilitating and progressive condition that affects the brain and spinal cord. Normally, nerves are encased in a thin and protective insulating coating called myelin. Multiple sclerosis causes the immune system to ‘turn on itself’ and eat away at the myelin. In the early stages, MS is difficult to diagnose. Symptoms may come and go over a period of time. Depending upon the extent of damage, patients may experience tingling or pain, electric shock-like sensations, vision issues and slurred speech, along with tremors and lack of coordination. Symptoms range from mild to severe. Patients are extremely sensitive to changes in temperature and fluctuations can trigger symptoms. The cause of multiple sclerosis isn’t known, but the disease has been linked to a variety of viral infections. MS can strike at any age, but typically appears between the ages of 20 and 40. Multiple sclerosis primarily affects women and is associated with a family history. Severe complications include loss of bladder and bowel control, muscle paralysis, depression and epilepsy. 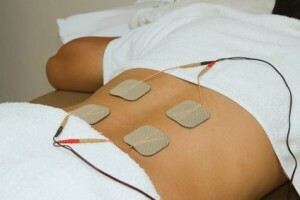 Electrical Stimulation – When a patient is unable to initiate muscle contracts, electrical stimulation provides the means to help keep muscles mobile and toned. Gait Training – This treatment technique prevents muscle atrophy and conditions patients to walk again. It is effective for individuals experiencing numbness in the extremities and helps improve balance. Aqua Therapy – Performed in warm, shallow water, this is a relaxing and rejuvenating form of treatment. Exercises and motions are easier to accomplish and strength and coordination is improved. Progressive Strengthening – Improving strength and mobility through gentle, flowing motions helps build core and pelvic floor strength. 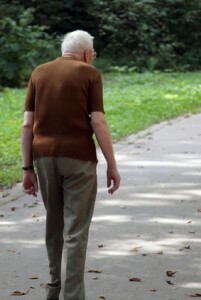 This helps prevent falls due to unsteady gait and muscle weakness. Individualized Training – A training program is tailored to each individual, and independent home exercise is encouraged. Exercise is appropriate for MS patients at all levels, and a physical therapist can prescribe the correct level of intensity and frequency. Movement Adaptations – Minor adjustments to the home and work environment can help the patient adapt to fatigue and temperature sensitivity. Assistive technology such as canes, crutches and wheelchairs are used to improve quality of life. Physical therapy is an essential part of an overall treatment plan for patients with multiple sclerosis. In fact, physical therapy can help most individuals recover from diseases / injuries affecting bones, joints, muscles and nerves. The scope of physical therapy is significant, and we can help most people improve their quality of life. A physical therapist uses an arsenal of treatment techniques, procedures and modalities to help improve strength, mobility and stability. This is invaluable for patients with MS, as they learn adaptive techniques to mitigate the symptoms of the disease. The end result of less pain and discomfort, more freedom of movement and higher quality of life. Multiple sclerosis is associated with unique challenges for the patient, both physical and emotional. 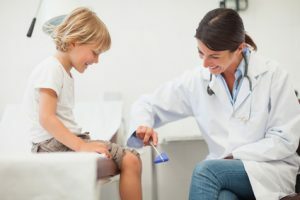 Physical therapists use a combination of modern treatment techniques, old fashioned encouragement and moral support. Call us today to learn more about how we can help you, and your loved ones enjoy a higher quality of life. Freedom is one phone call away. We look forward to hearing from you. The loss of any of the five senses is especially distressing, and one of the most frightening for any individual is the loss of balance and equilibrium due to a vestibular disorder. The condition occurs when there’s a disruption of the vestibular system that encompasses the inner ear and brain that controls eye movement and balance. When the vestibular organs are damaged from disease or injury, the brain can no longer rely on them for accurate information about equilibrium and motion, often resulting in dizziness, vertigo, balance problems, and other symptoms. Physical therapy can help. The goal is to retrain the brain to recognize and process signals from the vestibular system in coordination with vision and proprioception. An estimated 35 percent of all adults in the U.S. have suffered from some type of vestibular dysfunction, but it can also occur in children. The nature of symptoms and potential causative factors make it a difficult condition to diagnose. 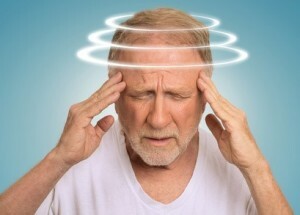 A Vestibular disorder can result from an injury, stroke or neurological problem, but it’s also common in chronic diseases that include diabetes. It can result from cataracts, aging or a viral infection, causing a distorted sense of touch, the sensation of floating or that the world is spinning. Symptoms can range from mild to severe and have a significant impact on a person’s quality of life. When the condition appears in children, it affects the child’s balance; motor development and unstable eye focusing makes it difficult to learn to read. Many children go undiagnosed since it’s not a condition for which youngsters are typically screened. It’s extremely frustrating for individuals seeking a quick diagnosis and for parents trying to find treatment for their child. Vestibular rehabilitation therapy (VRT) offers hope for those suffering with vestibular disorder. The physical therapist will create a treatment and management plan of exercise that addresses the underlying causes and alleviates any compensatory behaviors an individual may have developed. VRT can be used alone or in conjunction with other therapeutic techniques. Patients will learn ways to compensate for the sensory deficits that they have experienced. Individuals learn new ways to move and perform tasks that reduces the potential for falls and injuries. Virtual reality is being utilized in some practices to improve control and balance. Therapists also monitor individuals for signs of emotional disturbances, anxiety and depression, all of which are common for those with this disorder. Vestibular rehabilitation therapy is a proven method for addressing the underlying causes of the condition and assisting individuals with the disorder to learn how to live, work and play safely. Vestibular disorder can be temporary or long-term and the techniques available through physical therapy improve overall quality of life.